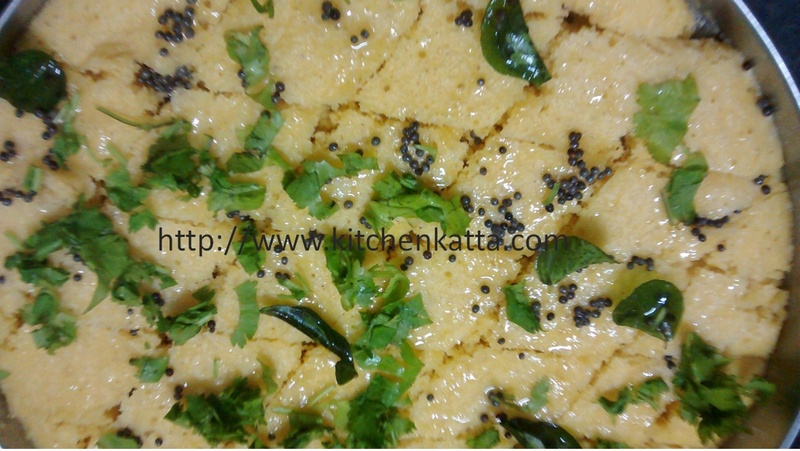 Khaman Dhokala is one of the Gujarati famous farsan which is enjoyed by all. So today I share this easy and sure to come well recipe. This happens to be the last recipe of year 2014!! Till I write next time in the new year, don't forget to share your comments!! 3. Grease a deep plate with oil and keep ready. In cooker keep sufficient water for heating. 14. Garnish with freshly chopped coriander. Your Dhokala is ready!! Hello Harshita..thanks for liking it..its tastes also yumm :-) do try out and share how you liked it! My motherhood and parenting blog!! All rights reserved with the author. The content should not be recreated in any form of copy, print, transmit etc. without written permission from the author.